I've included a list of children books that I thought your family might enjoy reading together. These are geared towards pre-school and elementary children and have lots of pictures. You may be able to find some of these in your local library. That's where I found them. If you see pictures of books that have links to Amazon on this page, I want you to know why they are there. As an Amazon affiliate, I receive a commission on purchases made by you when you use the links to Amazon with my affiliate code. If you leave my site and purchase directly from Amazon, there is no commission. I tell you this so there is no confusion about the relationship I have with Amazon. They are an excellent company with exceptional products. Read my full advertising policy. This ready-to-read level 2 book is a fun glimpse into the past. You'll see ice cream carts with ice cream for 5 cents and boys playing stick ball in the streets of Baltimore on these colorful pages. If you have kids that like trucks, they'll enjoy reading this Dora Adventure where 5 different work trucks help to get the ice cream truck out of the mud. This book has become one of our favorites! The story and illustrations are equally cute. We've just fallen in love with it. My youngest daughter has asked to read it at least 10 times since we checked it out yesterday. Definitely worth buying. It all starts with a cow in this nicely watercolor illustrated childrens book. 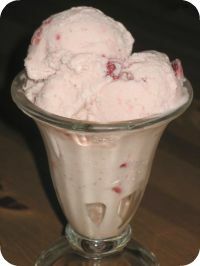 The author describes the process of how ice cream is made - from milking the cow to delivering the ice cream to the stores. Included at the end of the book is a glossary of words like emulsifier, hopper, and homogenization. Do you know what a hopper is? You will if you read this book. In this very cute board book, Max wants ice cream for breakfast. (Most of us can relate to this.) Sister, Ruby, says no, but clever Max always finds a way. This book teaches young scientific minds about how cows are milked and then how that milk is used to make ice cream in a factory. It includes some ice cream facts and 6 vocabulary words that are highlighted on the pages. This easy-to-read book divided into three chapters, is a story of two friends who love ice cream, but not necessarily secrets. Their class takes a trip to the ice cream factory and a friend invites them to her birthday party where they get to ride a roller coaster. Spike and Cubby, two dogs that write and illustrate books together, get distracted by the thought of a special treat on Ice Cream Island. Getting there takes them on quite an adventure... but, it's worth it. I especially enjoyed the colorful and fun pictures. I wish there was an Ice Cream Island - for people. In this Sponge Bob story, Sponge Bob tries to cheer himself up by eating way too many ice cream sundaes. This is a very enjoyable board book. My youngest children, who are just learning to read, like to read it to themselves. 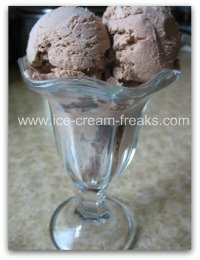 Can you recommend and review a great ice cream book for children? Share your recommendation and review of the great book you've found. Include some details of your favorite parts (just don't give away the whole story). Your book review will appear on a Web page exactly the way you enter it here. You can wrap a word in square brackets to make it appear bold. For example [my book review] would show as my book review on the Web page containing your book review. 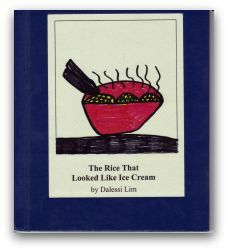 Here is the beginning of what I hope will become a list of childrens books written by visitors of ice-cream-freaks.com. It's so much fun to read childrens stories and see the pages come to life. So, this is an opportunity to have your ice cream children books published on the internet. Please remember to only submit stories that have something to do with ice cream. Click here to read the story or right click to download it. Use the following form to submit your stories. 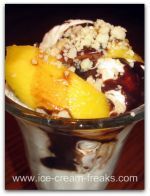 *By submitting to this site, your stories become property of ice-cream-freaks.com. *After filling in and submitting the form, you will receive a confirmation e-mail with instructions for submitting your ice cream story.